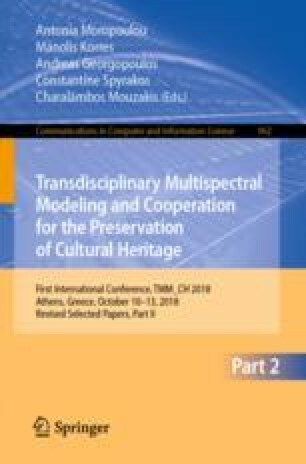 The seismic analysis of existing Cultural Heritage framed structures that have been damaged and upgraded by using cable elements (tension-ties) is numerically investigated. Special attention is given to uncertainty concerning input parameters for the structural elements behaviour. A double discretization, in space by the Finite Element Method and in time by a direct approach, is applied. The unilateral behaviour of the cable elements that undertake only tension stresses is strictly taken into account. Damage indices are computed for the accumulating damage due to seismic sequences. The presented numerical approach is applied to a typical reinforced concrete (RC) frame-building of the recent Greek Cultural Heritage.